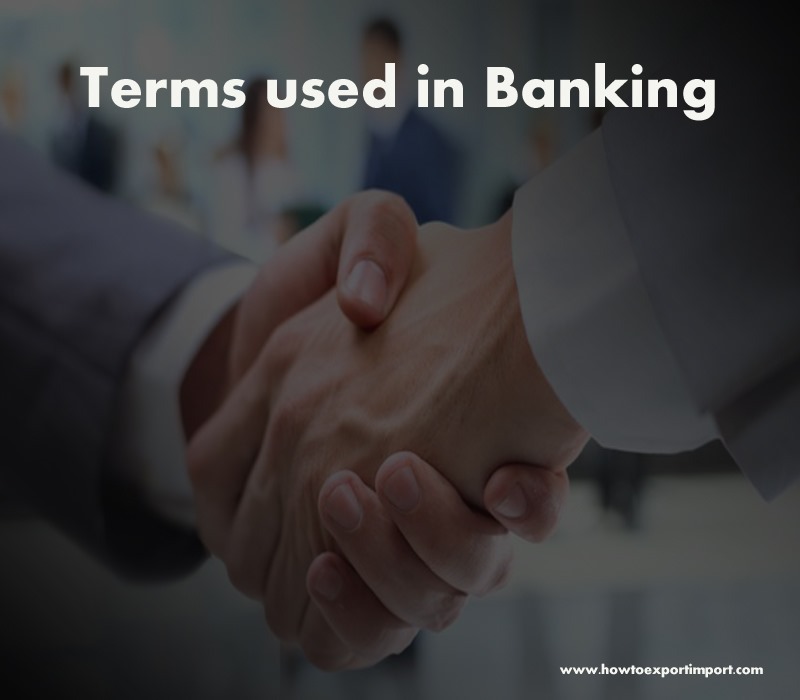 The terms used in banking business such as Depositary Bank, Depreciation, Derivative, Devaluation etc. 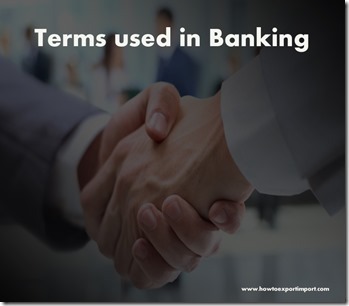 This post explains about terms used in banking such as Debt/equity ratio,Decentralization,Default Risk Premium,Deferred Tax Liabilities,Deflation,Demand Deposit ,Demat Account,Depositary Bank,Depreciation,Derivative,Devaluation etc.These terms used in international business are arranged in alphabetical order and you may add more information about terms used in export business at the end of this article, if you wish. Debt/equity ratio: A comparative ratio of debt and equity used to measure the gearing/ health of a business. Debt: The money that you owe to a lender (for example a bank) when you borrow money. Decentralization: Decentralization means the establishment of various unit of the same industry at different places. Large scale organization or industry can not be run at one particular place or territory. In order to increase the efficiency of the industry, various units at different places are located. Dedicated URL ndsind.com: Dedicated URL is a secure site, i.e., https// accessible only through deployment of requisite digital certificates and tokens (for non-repudiation of transactions). The issuance and management of digital certificates and security tokens would be the responsibility of the PM as part of GAH creation and activation process. Regular renewals thereof would also be the PM’s responsibility. default -- A status assigned to a cardholder if he or she fails to perform or conform to all the items listed in the cardholder agreement. Default Risk Premium: The component of a required interest rate that is based on the lenders’ perceived risk of default. Default Risk: The risk that a borrower may not repay principal and/or interest as originally agreed. Default: Generally, failure to satisfy an obligation when due, or the occurrence of one of the defined events of default agreed to by the parties under a contract. Default: Failure to pay principal or interest promptly when it is due. Deferred Tax Assets: Unabsorbed depreciation and carry forward of losses which can be set-off against future taxable income which is considered as timing differences result in deferred tax assets. The deferred Tax Assets are accounted as per the Accounting Standard 22. Deferred Tax Liabilities: Deferred tax liabilities have an effect of increasing future year's income tax payments, which indicates that they are accrued income taxes and meet definition of liabilities. Deficit Financing: It is a practice resorted to by modern government of spending more money than it receives in revenue. It is a policy of bridging a deficit between governments expenditure and revenue. Deliberately budgeting for a deficit is called deficit financing. This practice was popularised by Prof. J. M. Keynes to deal with the depression and unemployment situations and to stimulate economic activity. Deficit financing, though having inflationary effects, has now become a common practice in all countries. Deflation: Deflation is the reverse case of inflation. Deflation is that state of falling prices which occurs at that time when the output of goods and services increases more rapidly than the volume of money in the economy. In the deflation the general price level falls and the value of money rises. Delivery: Either of two methods of delivering securities: delivery vs. payment and delivery vs. receipt (also called "free").Delivery vs. payment is delivery of securities with an exchange of money for the securities. Delivery vs. receipt is delivery of securities with an exchange of a signed receipt for the securities. demand deposit -- A checking account. Demand Deposit : A Demand deposit is the one which can be withdrawn at any time, without any notice or penalty; e.g. money deposited in a checking account or savings account in a bank. Demand Loan: A loan that has no fixed maturity date but that is payable upon demand. Demat Account: Demat Account concept has revolutionized the capital market of India. When a depository company takes paper shares from an investor and converts them in electronic form through the concerned company, it is called Dematerialization of Shares. These converted Share Certificates in Electronic form are kept in a Demat Account by the Depository Company, like a bank keeps money in a deposit account. Investor can withdraw the shares or purchase more shares through this demat Account. Denial of Service Attack (DoS) - a simple form of DoS attack is by sending large volumes of data to a single server thereby making it unstable or even crashing it. deposit slip -- An itemized slip showing the exact amount of paper money, coin, and checks being deposited to a particular account. Deposit: Money added into a customer’s bank account. Deposit: Money or cheques put into an account at your bank or other financial institution. Depositary Bank: See Bank of First Deposit. Depository Bank: See Bank. Deposited Item Returned Fee or Cashed Item Returned Fee: A fee we charge each time a check or other item that we either cashed for you or accepted for deposit to your account is returned to us unpaid. depositor -- An individual or company that puts money in a bank account. Depository Bank:The bank that accepts incoming paper or electronic funds and credits it to a beneficiary bank account. Depreciation: An annual deduction of a part of the cost of an asset. In general, it means a decline in market value. Derivative: A derivative instrument derives its value from an underlying product. There are basically three derivatives a) Forward Contract- A forward contract is an agreement between two parties to buy or sell an agreed amount of a commodity or financial instrument at an agreed price, for delivery on an agreed future date. Future Contract- Is a standardized exchange tradable forward contract executed at an exchange. In contrast to a futures contract, a forward contract is not transferable or exchange tradable, its terms are not standardized and no margin is exchanged. The buyer of the forward contract is said to be long on the contract and the seller is said to be short on the contract. b) Options- An option is a contract which grants the buyer the right, but not the obligation, to buy (call option) or sell (put option) an asset, commodity, currency or financial instrument at an agreed rate (exercise price) on or before an agreed date (expiry or settlement date). The buyer pays the seller an amount called the premium in exchange for this right. This premium is the price of the option. c) Swaps- Is an agreement to exchange future cash flow at pre-specified Intervals. Typically one cash flow is based on a variable price and other on affixed one. Derivatives: the group term for financial contracts between buyers and sellers of commodities or securities. Includes futures, options or swaps. Derivatives allow profit from the rise (or fall) of a commodity or security, without actually buying the underlying good. Devaluation: The loss of value of currency of a country relative to other foreign currency is known as devaluation. Devaluation is a process in which the government deliberately cheapens the exchange value of its own currency in terms of other currency by giving it a lower exchange value. Devaluation is used for improving, the balance of payment situation in the country. Diallers - software which causes the computer to use the modem to dial phone numbers. Often used to run up high phone bills or transmit data collected by keyloggers or trojans.